In November 1927 Tullio Campagnolo was stuck on his first ascent of the Croce d’Aune pass with a flat tire and wing nuts he could not loosen to repair it. From this episode came his invention of the quick release hub. Campy is the only choice for traditionalists and has been since 1933. Today they continue to innovate and lead with component groups and wheels for the road, track, cyclocross and triathlon rider. From 105- Dura Ace, something for every level and every style of riding. Japanese quality and precision. 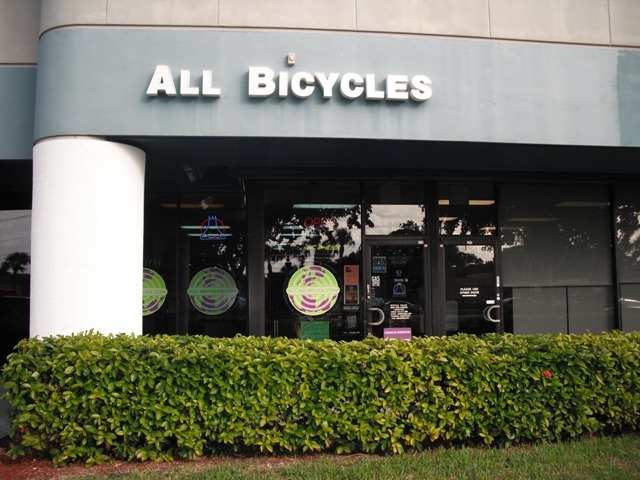 A large and comprehensive selection of wheels, rims, tires, computers, pedals & apparel. Featuring the Ksyrium SSC SL - the most versatile front wheel-tyre system! A wheel-tyre system that can do it all: sturdy, stiff, aerodynamic, comfortable, durable... the best front wheel-tyre system. FSA - some of the best carbon cranks,seat posts,stems,bars for road bikes. Pedals and accessories as pioneered by cycling greats Hinault and Lemond. Carbon wheels for training,and competition. As raced by Tyler in Le Tour. Wheels and rims from Australia with superb quality. The best sealed headsets,hubs made in the USA. Marzocchi suspension forks that are bulletproof! Made in Bologna, Italy.